The Romanians celebrate Unification Day annually on January 24. This is not a public holiday, but the date is important for the history of Romania. The first attempts to unite Wallachia and Moldavia were made in the 1840s, but they were not successful. Only the election Alexander Ioan Cuza as the ruler of both principalities in 1859 made the unification of two principalities possible. Wallachia and Moldovia were politically united on January 24, 1862. 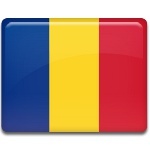 This date is considered as the day when Romania was founded. The country gained its name only in 1866, when a new constitution came into effect. During the rule of Alexander Ioan Cuza two Romanian principalities gained international recognition as the union. He adopted several reforms, that promised prosperity to the peasant majority. But Cuza's land reforms failed and his popularity waned. Cuza was forced to abdicate by two major political groups, but his contribution to the foundation of modern Romania are not forgotten.